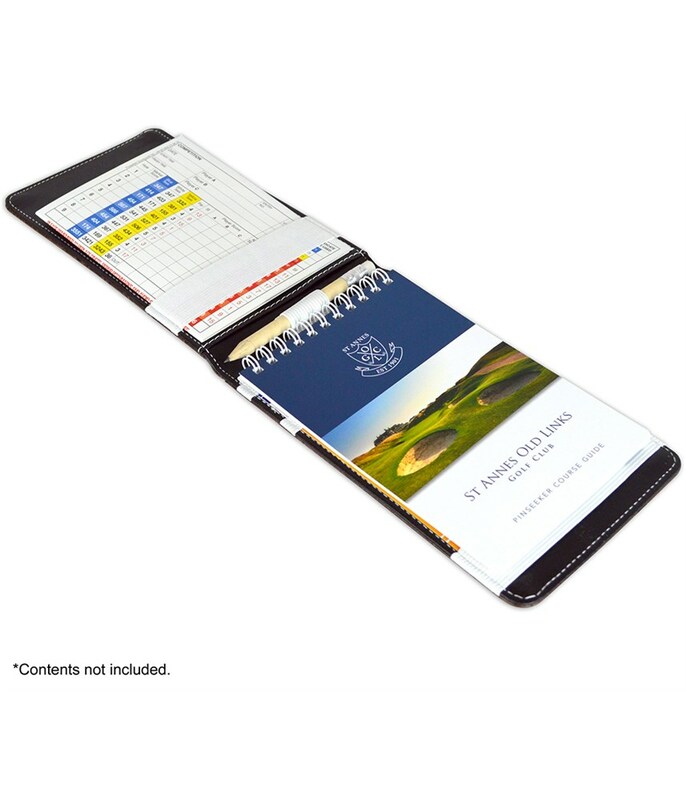 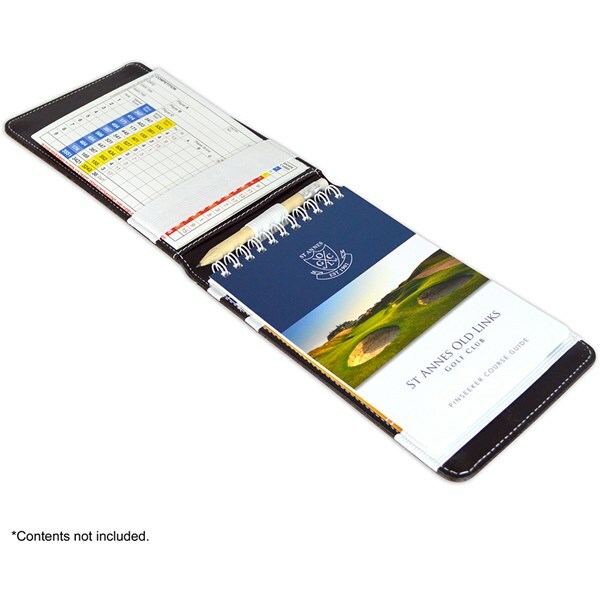 Good little scorecard holder with additional room for course planners etc. 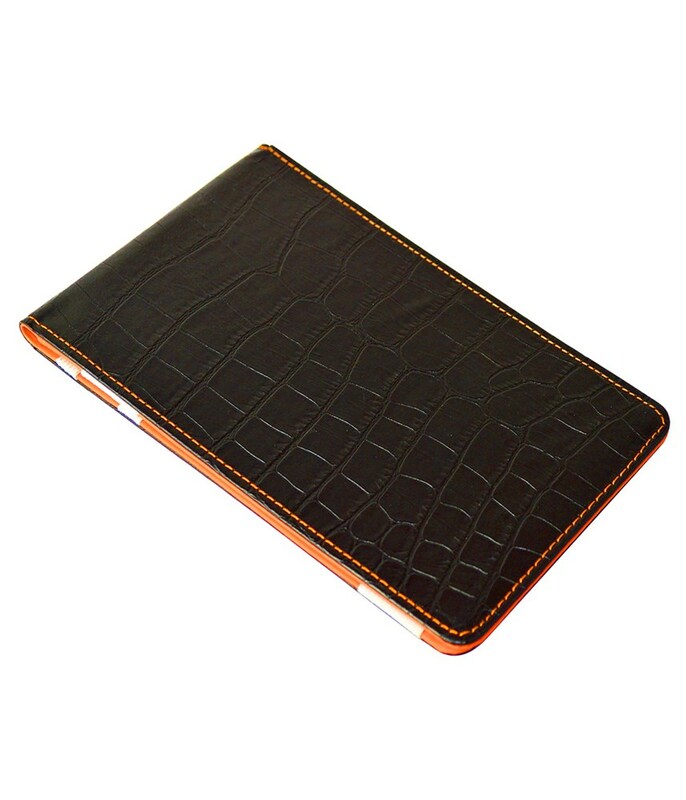 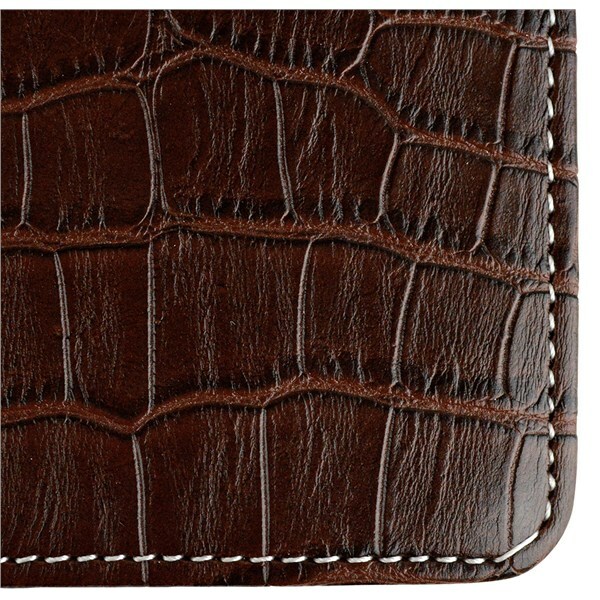 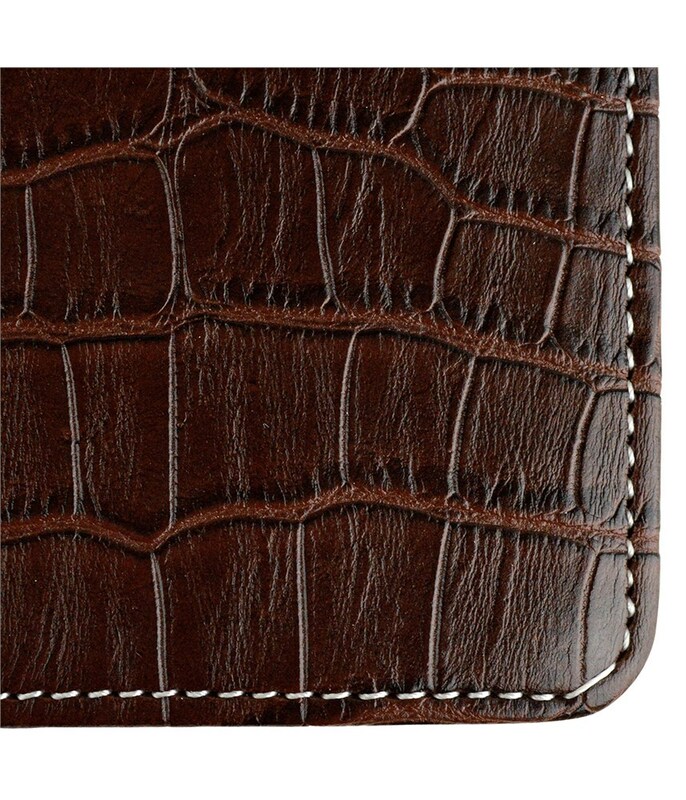 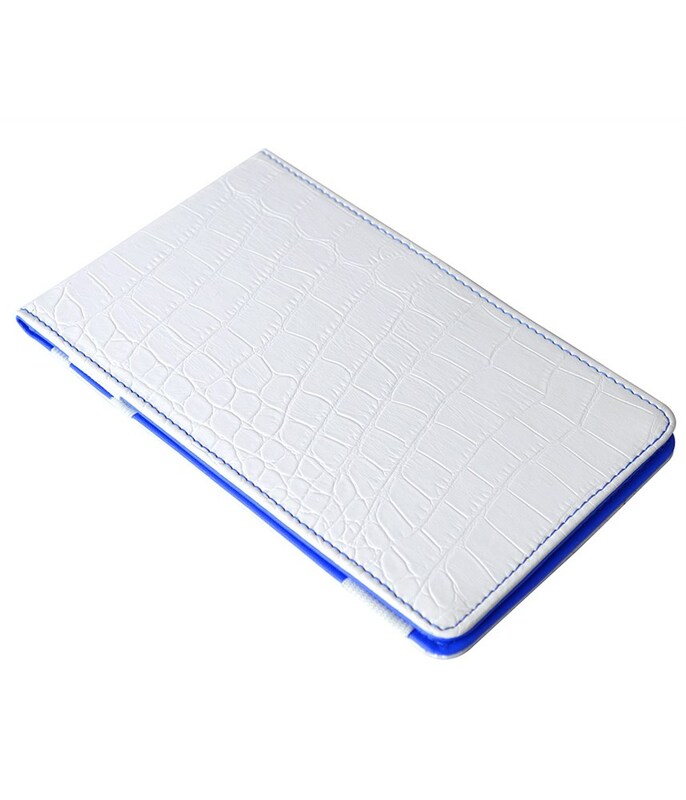 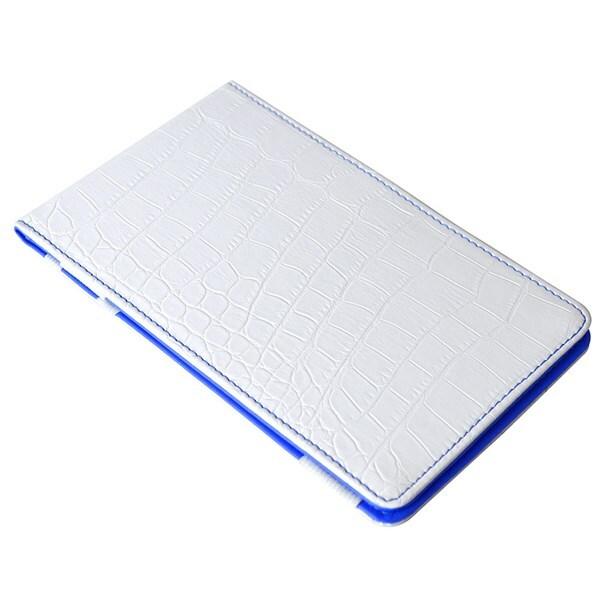 This is used constantly and is very nice to hold and the crocodile skin is beautiful and very soft. 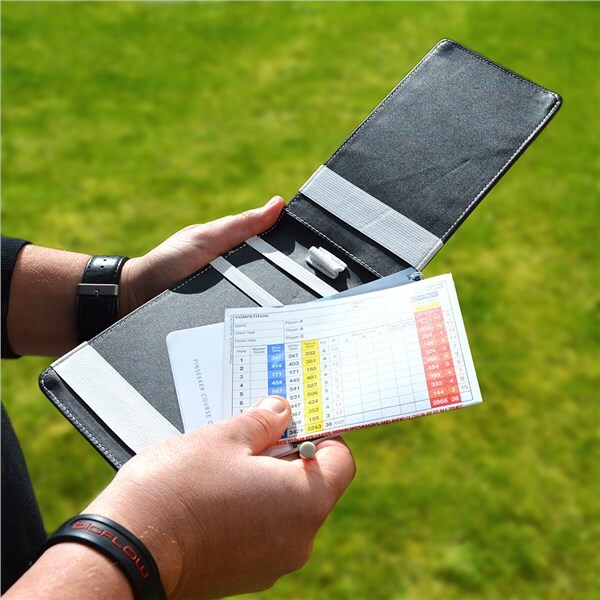 The On Par Crocodile Scorecard Holder looks stunning, is handmade and will hold a scorecard, pencil and a course planner. 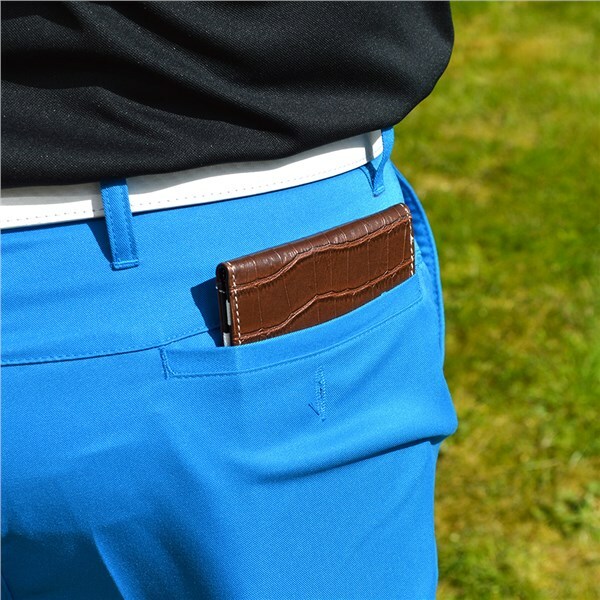 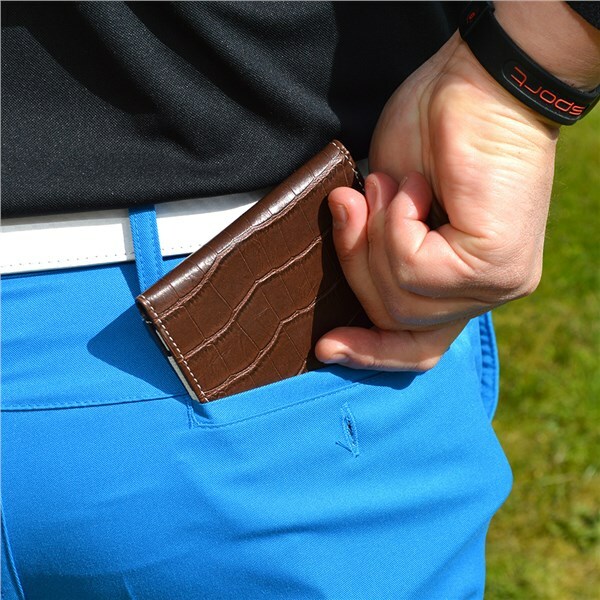 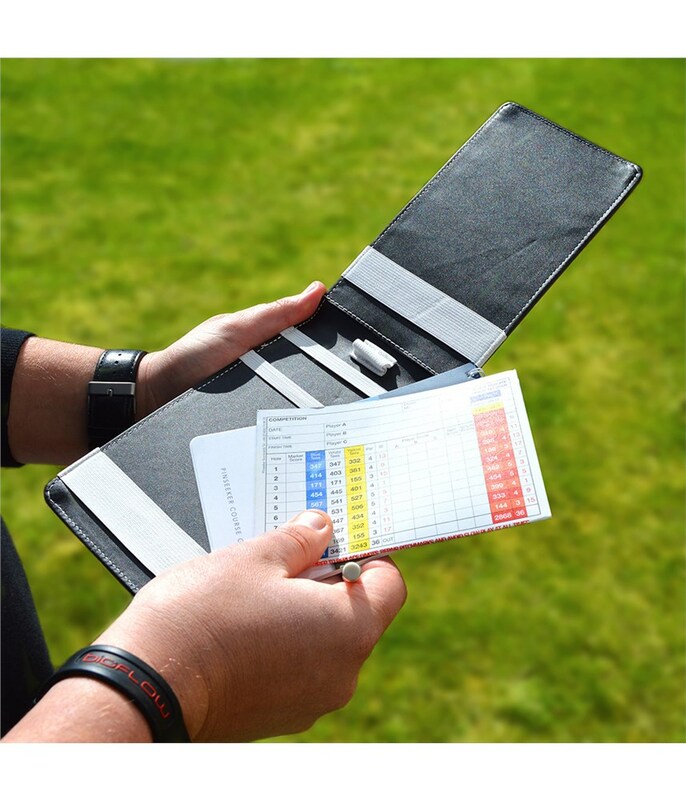 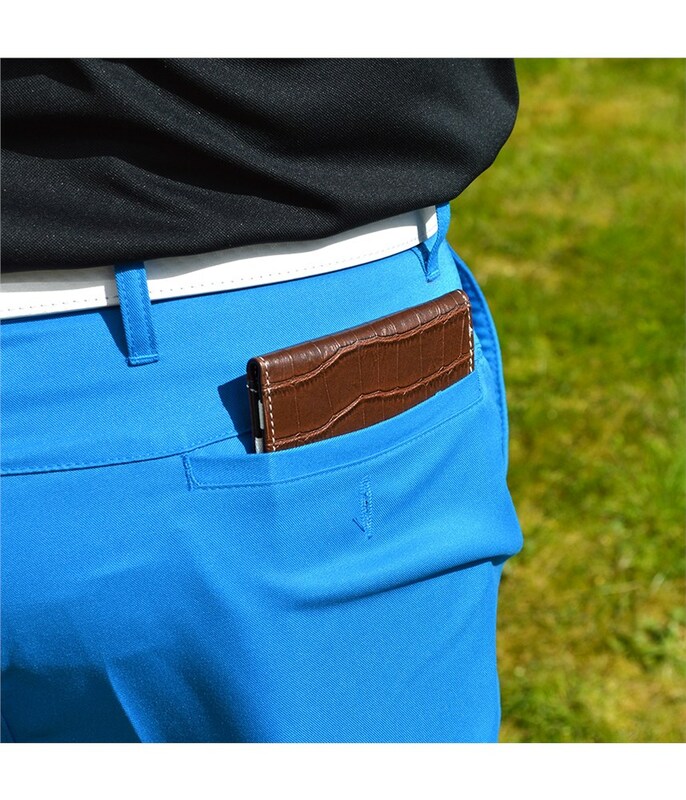 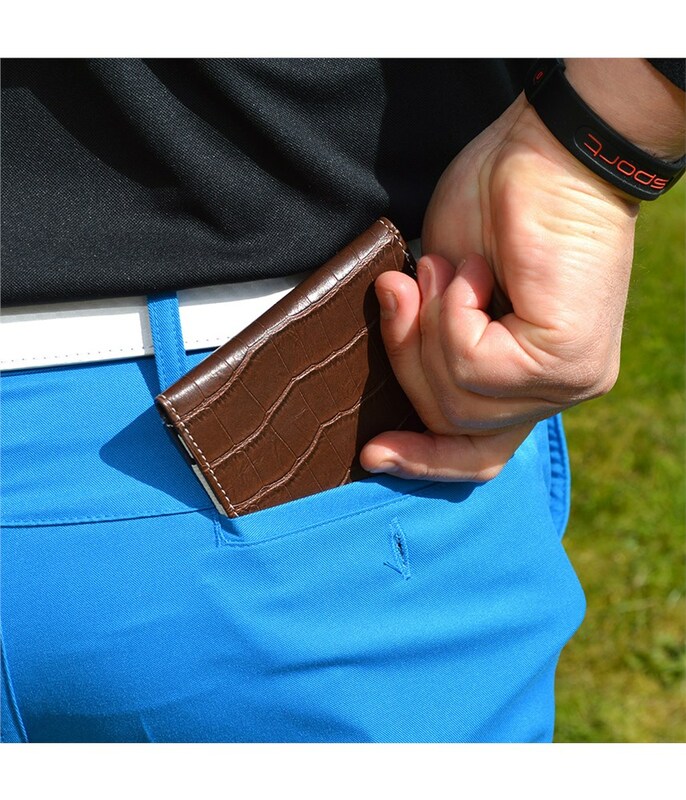 Designed to fit into most back pockets, the On Par Crocodile Scorecard Holder features an elasticated inner design that will hold your scorecard, course planner and pencil in place.